TSI is the industry leader in real-time dust monitoring instrumentation. TSI helps protect workers and companies with real-time instruments for personal exposure monitoring, work area exposure, walk-through source monitoring, outdoor fugitive-dust monitoring and quantitative fit testing for respirators. 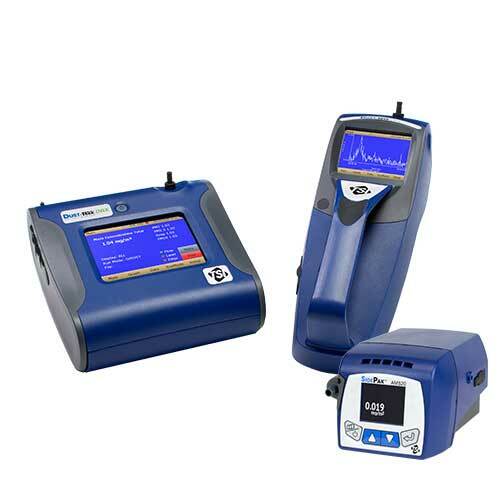 Direct reading instruments like TSI’s DustTrak and SidePak Personal Aerosol Monitors make it simple to quickly and cost-effectively monitor silica exposure levels in real-time to capture and log the critical data needed to drive corrective action.